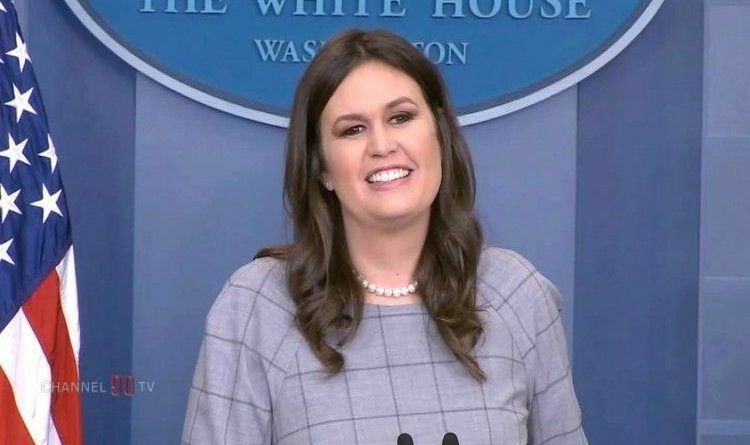 An 11-year-old girl from Maryland wrote a sweet letter to President Trump and received a lifetime opportunity when White House press secretary Sarah Huckabee Sanders read from the letter at a White House news briefing last week. Sanders must have been delighted to let the public in on a letter written by a young girl named Natalie in which Natalie made a sweet and adorable offer — to give the president a home-cooked meal. “Dear Mr. President,” Sarah began. “I’m Natalie and I’m 11 years old, almost 12. My cousin, Celia, who is 8 years old and have loved to cook since we practically were born… From the time we were very little, we’ve helped our nona in the kitchen, therefore we are very good cooks for little girls. I’m very proud of our president for offering her an amazing opportunity. Our president just opened a huge door for little Natalie, perhaps the most important one of her life. She must embrace it with everything inside that big, fearless heart she possesses. Thank you, President Trump and Sarah Sanders for making this young girl feel important. You made her day, week, month and the rest of her life very special. What do you think about this story? Scroll down to comment below!